Vampire Bella ou human Bella? Do toi think it's strange that Edward was never nicknamed par Bella throughout the series? Which one do toi prefer?? When life offers toi a dream so far beyond any of your expectations, it’s not reasonable to grieve when it comes to an end. I peeked up at him one plus time, and regretted it. He was glaring down at me again, his black eyes full of revulsion. As I flinched away from him, shrinking against my chair, the phrase if looks could kill suddenly ran through my mind. These are my fave citations from the Eclipse book and movie.I hope toi enjoy them. Edward softly pressed his smooth, porcelaine finger to my lips as I feebly attempted to protest his anniversary surprise. “Shh, Bella, my love,” he whispered in my ear, his sweet breath finding its way to my nose, intoxicating me. “I promise I haven’t done anything outrageous ou overly extravagant. But it is August 13th – our seconde anniversary, love. toi had to have expected something.” His perfect, angelic crooked grin widened, brightening up his buttery golden eyes and causing me to entirely lose my train of thought. There's so much crap on the internet regarding Bella cygne being a terrible, undeveloped, idiotic character. Maybe some of that is true ... I'm not sure. I try not to discuss Stephenie Meyer's écriture skills too much because I end up screaming at people but she isn't the best, admit it. “On November 18, see Bella’s Carolina Herrera-designed wedding dress in #BreakingDawnPart1!”. was posté on Twitter. This veste was worn par Bella during the Bike Accident scene in New Moon. It is currently 50% off. 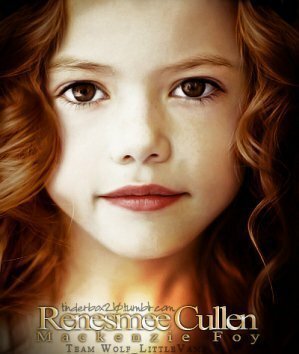 How many days difference are there between Renesmee's birthday to Bella's?